It is not about one of us losing and the other winning the conversation. When we agree to hold each other to account and fail we both loose the conversation. our desire to always be right (win). What are the 6A Rules of Engagement? 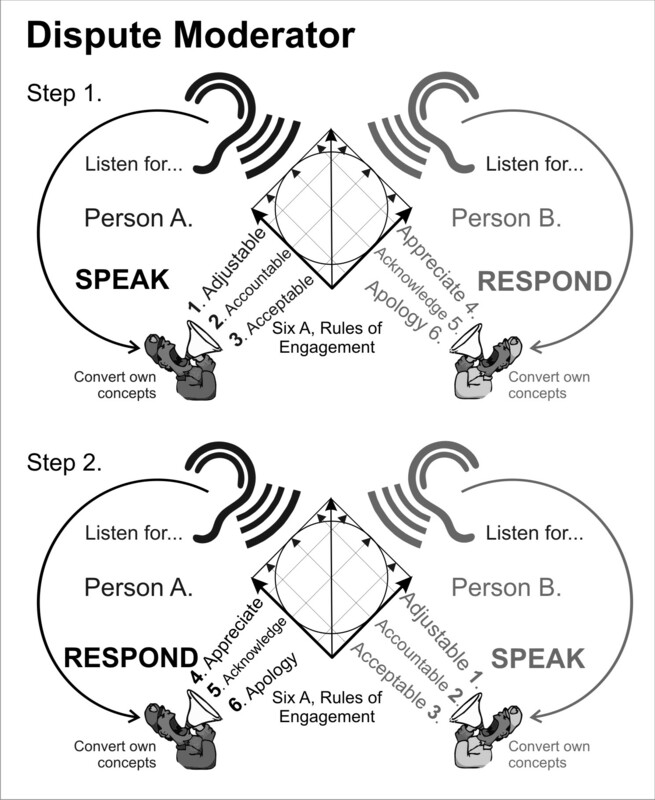 Speak with: Adjustable, Accountable and Acceptable language. Respond wth: Appreciate, Acknowledge and Apology (or speech in defence). our conversations before during and after within the context of the 6As. A conversation at times being compromised, bypassing the 6A Rules of Engagement dispute moderator.